The most beautiful spot in Texas. These are the words that piqued my interest in McKittrick Canyon. Located near the eastern edge of the Guadalupe Mountains National Park, the canyon has the most breathtaking display of fall colors in the Lone Star State. These spectacular fall colors attract thousands of visitors to the park in late October and early November. Although I visited the canyon in late November, I was not disappointed. Friends and I camped at the Pine Springs Campground under overcast skies and freezing rain. The morning of our planned hike to McKittrick greeted us with 20-something degree temperatures and a world of ice. 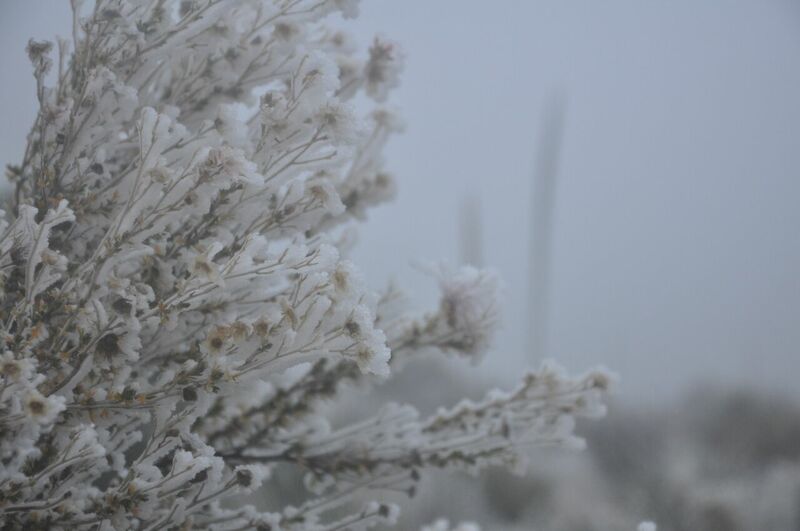 Through the night, the freezing rain had turned the plants and trees in the park into beautiful ice sculptures. We all felt privileged to see the park as few others have the opportunity to see it. 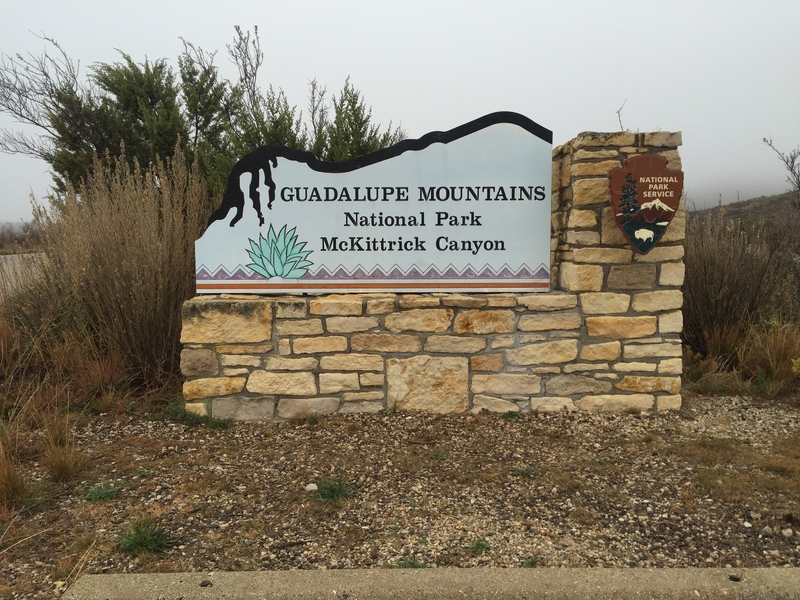 McKittrick Canyon is located about seven miles from the Pine Springs Visitor Center — the headquarters for Guadalupe Mountains National Park. We paid our entrance fee at the visitor center and then drove to the canyon. The freezing temperatures kept most sane folks away so we had the canyon pretty much to ourselves. Once we arrived, we wasted no time in setting off down McKittrick Trail toward the Grotto and the Hunter Line Shack (a round-trip hike of about eight miles). 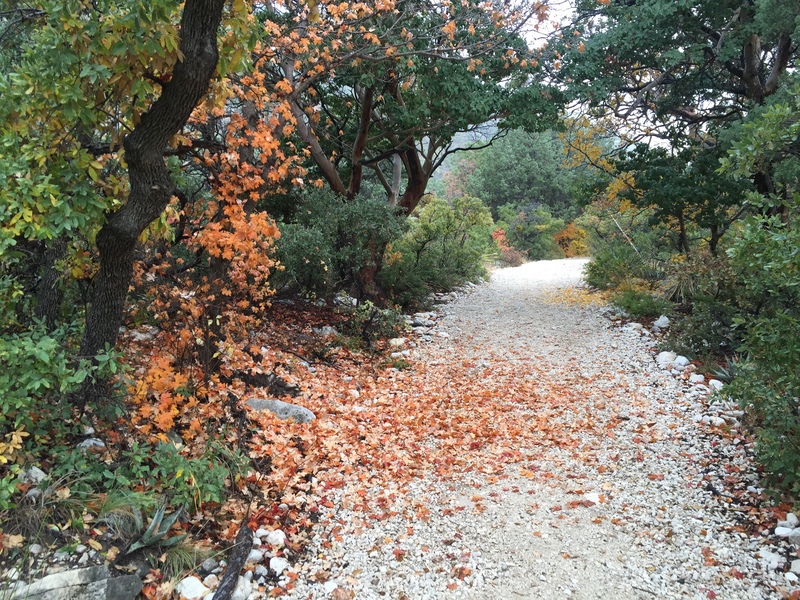 McKittrick Canyon has a beauty all its own. It did not take long for us to realize that we were indeed in one of the most beautiful spots in the Lone Star State. We hiked through a striking palette of fall colors made even more dramatic by the cold, overcast skies. Colorful big-tooth maples, deep-green alligator juniper, bark-shedding manzanita trees, and other native plants each contributed to the beauty of the canyon. The McKittrick Trail is the most popular in the park and a relatively easy trail to hike. The path is well-maintained and marked, making it almost impossible to get lost. The trail also crosses the only year-round stream found in the park. This stream is home to Texas’ only reproducing stock of rainbow trout. 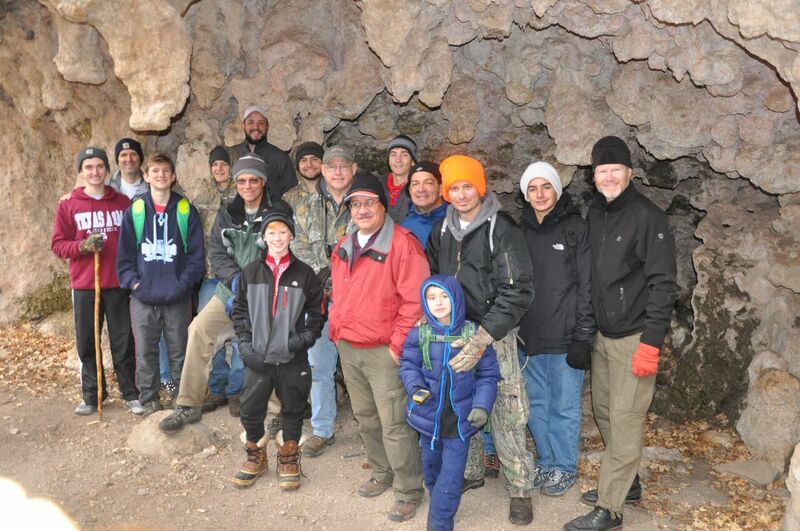 We hiked this trail to the Grotto, a tiny limestone cave filled with stalagmites and stalactites. Just past the Grotto is a beautiful picnic area with rock tables and benches. We lingered a while at this peaceful spot and just soaked in the beauty of the place. 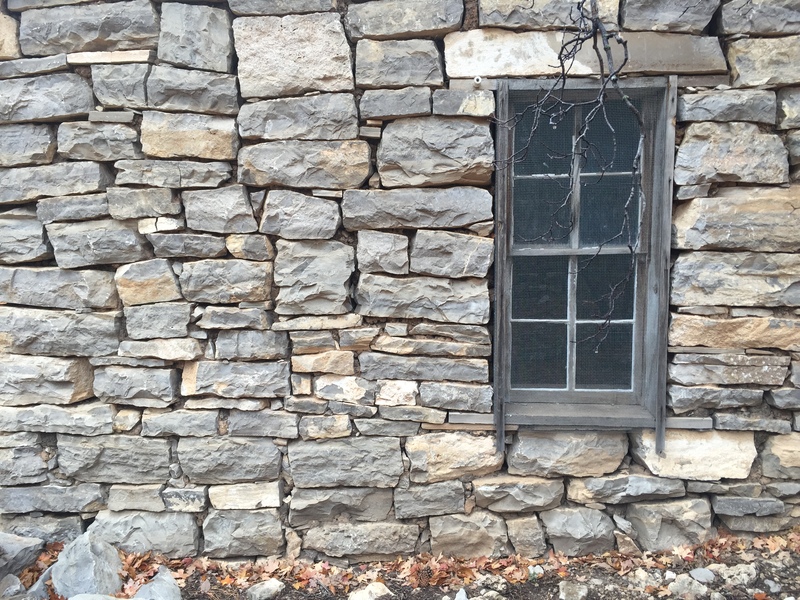 After enjoying a few snacks, we wandered down the trail to the Hunter Line Shack, built in 1924. You can’t visit a place like this without letting your imagination run wild — wondering about the people who built and used it. What an amazing setting for a cabin! The stars at night must have indeed seemed big and bright to the guys who built this cabin deep in the heart of the canyon. 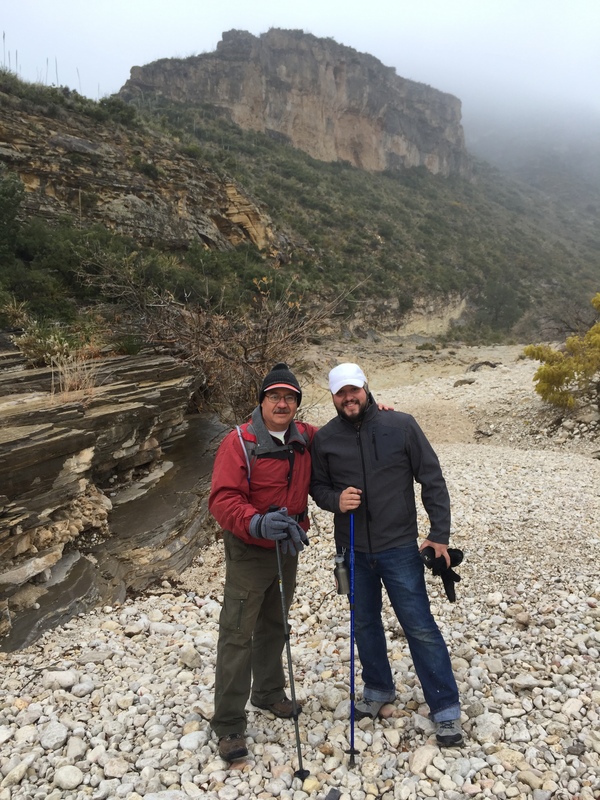 McKittrick Canyon is just one of the gems that makes a trip to the Guadalupe Mountains National Park worth the drive from anywhere in Texas. In addition to this amazing place that boasts the best fall colors in the state, the park is also home to Guadalupe Peak, the highest point in Texas, and El Capitan, the most dramatic landmark in the Lone Star State. I’m glad my friends and I visited the canyon in the fall. I look forward to returning again soon to enjoy the beauty of the canyon in the Spring or Summer. 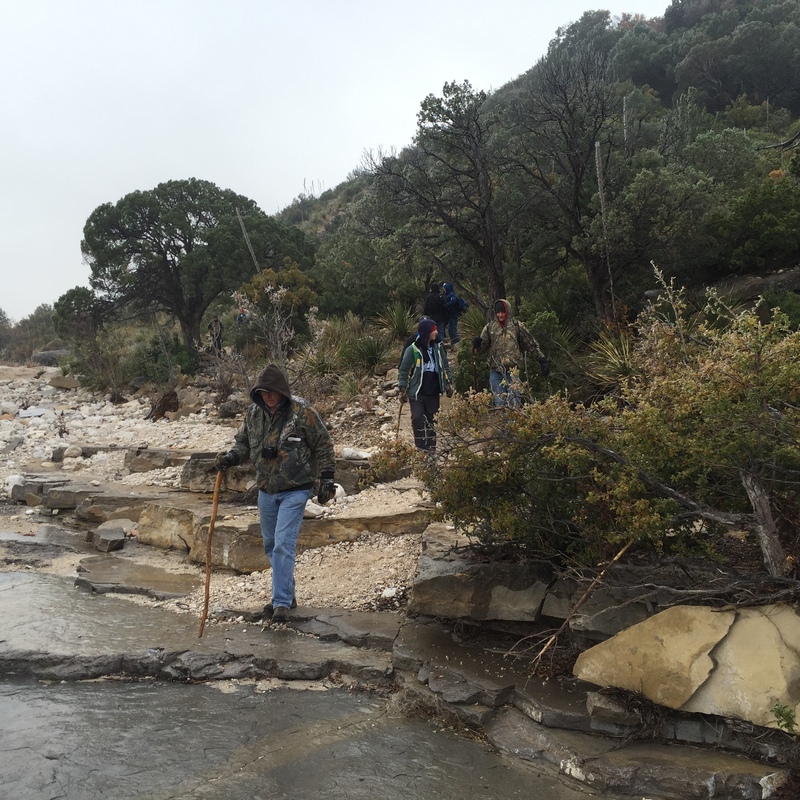 This entry was posted in Hiking and Camping, National Parks / Refuges and tagged Guadalupe Mountains National Park, Hiking, McKittrick Canyon, Most Beautiful Spot in Texas. Bookmark the permalink. ← Life’s Better With Birds!